What came to be is now the foundation of who we are. A hydroponic strawberry grower who sells and distributes their product directly to retailers. Our system allows us to produce the best tasting strawberries grown in California, year round, using less than half the amount of water it takes traditional farmers to grow less than what we can produce in a single year. We also use ZERO FUMIGANTS! 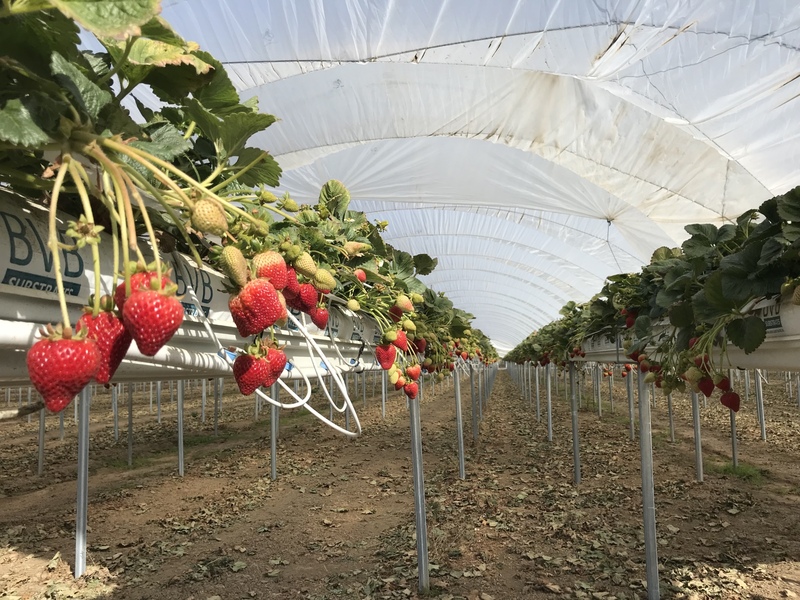 Something that is not possible in traditional, commercial conventional strawberry farming. Since our fruit is planted and grown on table tops above the ground, we don’t use the soil except as the floor to our hoop houses. This means no chemical or any contamination to the soil and to the local eco-system. Above ground also means more food safe as the fruit hangs cleanly suspended about 4 feet over the ground, away from soil borne bacteria, pest and varmnt feces and other potential bacteria laden contaminants. We also monitor the mineral and nutrient health of our plants constantly. Like every day type of constantly! 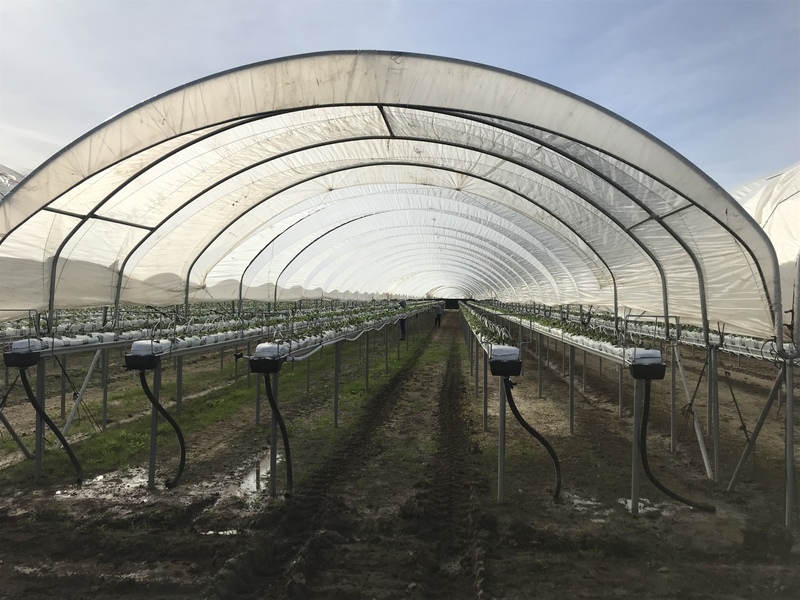 This dedication to precision and knowledge means that our plants are optimally healthy at all stages of their lives which means healthier and more nutritious fruit. We have our own young kids and families who we feel the utmost dedication and responsibility to providing the best and cleanest option of fresh food to. We want them to grow up in a world where they do not have to question the how’s and the why’s and the where’s of their food’s origins.